A Saxon raised by Vikings. A pagan fighting for a Christian King. The conflict at the heart of a hero will be played out in the fight for England. It is 877. Across the kingdoms of Britain the Danes are gaining strength. Uhtred of Bebbanburg, a pagan warrior, must decide who he will align with: the Vikings who raised him or Alfred, King of the West Saxons. 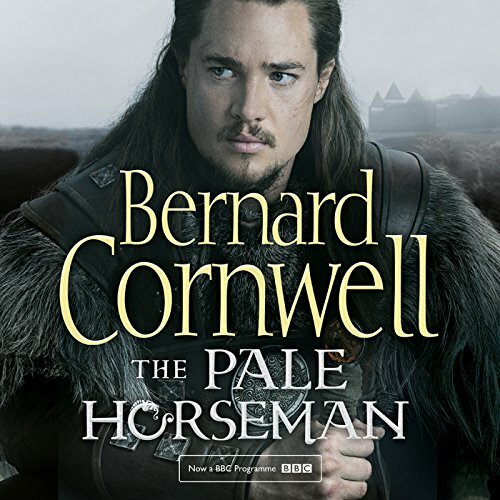 As the Danes make for Wessex and threaten to destroy the kingdom, Uhtred will forge an uneasy alliance with the king, to lead the last remaining Saxon army in a battle that will be a fight for the very existence of England. Nuanced characters, excellent performance, deep look into historical times. I highly recommend this book to anyone who likes fantasy, history, and good story telling. It's hard to stop listening. The story and the excellent narration grabs your attention and it's hard to put it down. Jonathan Keeble does it again. As with the first book Keeble breathes live into the book and gives every character a distinct voice. It's really amazing and well worth listening too. He sounds like what the TV Uthred should have been like and I always dread having to go without him after book 5 as to me, he is the real Uthred. If you are listening to this than you already know you like the story, so no point in discussing it. steht dem ersten Teil der Saga in nichts nach. Ein echtes Vergnügen, das historisch gut recherchiert ist, auch wenn es die Hauptfigur so nicht gegeben hat.